Food is an expression of culture and creativity. There is a lot of fun and value to be found in learning new recipes and developing an understanding for different cooking styles. Whether you’re a foodie or you’ve only ever cooked the basics, the cooking classes of Louisiana have something for everyone. From traditional Cajun dishes to baking, refine your culinary skills at the best cooking classes in Louisiana. If you’ve been yearning to learn a new cooking style, Crescent City Cooks offers New Orleans-style cooking classes using creative Cajun and Creole recipes. Even you don’t want to take one of the popular classes, stop by and enjoy a meal prepared by the students, or pick up that kitchen utensil you didn’t get for Christmas. Take your love of great food and turn it into a new passion at Passionate Platter, a culinary cooking school in Slidell, Louisiana. Using homespun humor and storytelling in each presentation, class participants will enjoy learning about and using fresh herbs to add dimension to the dishes they create. Classes are offered for all ages, making this perfect for a family night out. If you want to take your love of cooking to another level, one of the culinary programs at the Louisiana Culinary Institute may be just what you’re looking for. Stir up your hidden talent and be inspired by the professional chefs who share their knowledge and passion for the craft. Come away with the confidence to be your own boss or work in some of the best restaurants anywhere. Would you like to hone your culinary skills but don’t have the time to attend a class? Have the class come to you with Now You’re Cooking. You can have a family feast or a group of friends over for a delicious culinary experience they won’t soon forget. From casual to extravagant, you can help plan the menu with a seasoned expert who will keep your food preferences in mind. Located in Louisiana’s bayou country is a unique opportunity to discover yourself and your Southern heritage through food. Pass down your culinary history by learning the techniques and methods of time-honored practices. Learn from food masters, and turn your passion into reality with a hands-on education. Fast food, baked goodies, or fine dining. Whatever your love about food, take the next step and enroll in one of Bossier Parish Community College’s culinary arts courses. 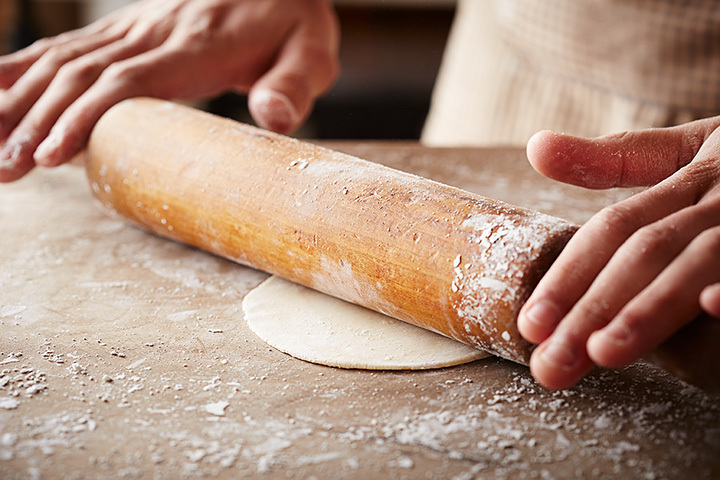 Besides the basics of kitchen safety and good nutrition, you’ll learn about creating delicious pastries in this semester-long course where you’ll earn a diploma in Culinary Arts. Langlois Culinary Crossroads in New Orleans elevates the art of preparing great food to a new level—that of entertainment. If you think about it, sharing food creates an atmosphere for storytelling and goodwill, and in what better place to learn than among some of the best chefs and instructors in the city? Book an in-home party or come to one scheduled at a local venue. Either way, it’s food entertainment at its best! Take a tour with Culinary Kids and see the world of food through the eyes of a child. This journey will unlock the wonder and creativity that children naturally have, and give them a taste of cooking in a real-world environment. Children can learn kitchen safety, creative expression with food, and even earn merit badges for scouting programs. Ever wonder what the difference is between Creole and Cajun cooking? Find out at Mardi Gras School of Cooking. Join friends or make new ones and enjoy an evening of great conversation, great food, and great wine in the beautiful surroundings of a New Orleans home. Bringing the community together in celebration of good food and good health is a goal at the Goldring Center for Culinary Medicine in New Orleans. Offering free two-hour cooking classes for students aged 13 and older, you’ll learn about kitchen safety, how to make a meal plan and shop for healthy ingredients, and get recipes you can make at home.